Earlier this month, one woman was killed and several other motorists were injured in a Michigan truck accident involving a semi-truck and several other vehicles. According to a local news report, a woman was waiting in a line of traffic that formed when a truck up ahead got into an accident. A semi-truck approached the line of traffic, but did not begin to brake in time, crashing into the back of the woman’s vehicle. After the initial collision, the truck rolled over onto its side, landing on two other vehicles in an adjacent lane. The woman who was rear-ended was pronounced dead at the scene by emergency responders, and the two drivers in the other vehicles were taken to the hospital with non-life-threatening injuries. Police have begun an investigation into the fatal accident. 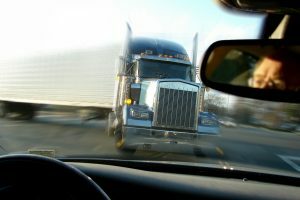 Have You Been injured in a Michigan Truck Accident? If you or someone you love has recently been injured in a Michigan truck accident, the dedicated Michigan injury lawyers at the Neumann Law Group can help. The team of Michigan personal injury lawyers at the Neumann Law Group have over 200 years of combined experience handling all kinds of personal injury claims, including Michigan truck accidents. We represent clients throughout Michigan, and also have offices in New York, Massachusetts, and Los Angeles. We provide our prospective clients with a free case evaluation during which we can explain how you can pursue a claim for compensation and how we can help. Call 231-221-0050 to schedule your free consultation today. Drunk Driving Continues to Rank Among Top Causes of Michigan Car Accidents, Michigan Injury Lawyer Blog, February 21, 2019. Pursuing a Claim for Compensation Following a Michigan Bicycle Accident, Michigan Injury Lawyer Blog, March 12, 2019.